Starting from January 31 and running till February 17th, the tenth edition of the ICC Women’s World Cup will be held in two cities of India – Mumbai and Cuttack. Interestingly the first ever Women’s World Cup was held in England in 1973 – two years before the first Men’s World Cup. Let us look at what can we expect from the 2013 tournament, the third to be held in India (after 1978 and 1997). The format is unchanged from the 2009 edition, with eight teams divided into two groups of four. Each team plays the other three teams in its group once on a round-robin format, with the top three teams in each group qualifying for the Super Six phase. In the Super Six, each team plays three games against the qualifiers from the other group, while carrying through their results against the other qualifiers from their original group. There are no semi-finals – the first and second-placed Super Six teams progress straight to the final on 17 February, while there are also play-offs for third/fourth, fifth/sixth and seventh/eighth place. The five grounds used for the tournament will be the historic Brabourne stadium (Cricket Club of India), Middle Income Group (MIG) Ground and the Bandra-Kurla Complex (BKC) ground in Mumbai; and the Barabati Stadium and the Driems Cricket Ground in Cuttack. The final will be played at the Brabourne on 17th February. The defending champions as usual start as one of the hot favourites to win their fourth title. 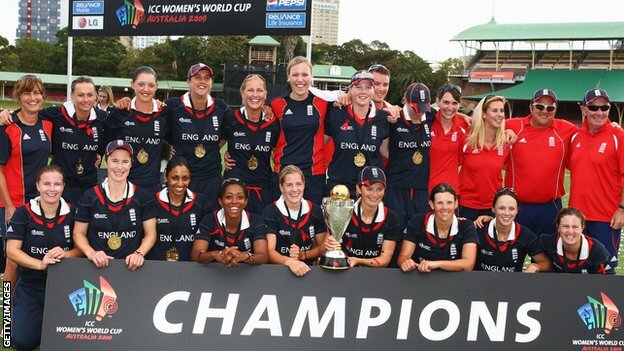 They will be lead by Charlotte Edwards, who holds the record for the most ODI appearances by a woman (160, including 86 as skipper). England have entered all but three out of the nine finals so far, so they certainly relish the big stage in the 50 overs format. They will surely aim at a final spot as par for the course. The home team, captained by veteran Mithali Raj, have a reasonably good chance of going the distance, their best result being finishing runners-up in 2005. But the fact remains that they are still found wanting in big games against the likes of England and Australia, which they will be keen to correct. Anything less than a top three finish would be a disappointment. The West Indies can be termed as the dark horses of the tournament. A win over either England or India will surely boost their already rising confidence. The key will be to convert a few good individual displays into regular team showings. They will be lead by the batswoman Merissa Aguilleira. The Sri Lankans finished last in 2009, and will look to do better this time around. They start as underdogs, and lack of recent matches may harm them – they have not played an ODI for nine months. Led by Shashikala Siriwardene, they will need a couple of good results to harbour hopes of entering the Super Six. The most successful team ever in the World Cup (5 wins in 7 finals) will be aiming at their second world title within five months, having successfully defended the World T20 in September last year, and surely they do have a very well-rounded squad to fulfill that goal. Wicketkeeper Jodie Fields will lead the side. One of the top three teams in the world ever since the first Women’s ODI was played, New Zealand have somehow flattered to deceive in World Cups, having won just one title, in 2000. The White Ferns, who were the runners-up in 2009 have the potential to enter the finals again, with their captain Suzie Bates in very good form of late with the bat. Pakistan will look at a Super Six entry as a success. They are relatively inexperienced at the world stage, having played in only two editions so far – 1997 and 2009. Progressing beyond the Super Six into the final will be a near-impossible task for this Sana Mir-led side, which will bank on its bowlers to deliver. South Africa finished second-last in 2009, and start the tournament with limited hopes, just like Pakistan and Sri Lanka. Their best result so far has been a semifinal entry in 2000. They will take a lot of inspiration from their experienced skipper Cri-Zelda Brits, and a recent drawn series against West Indies will hold them in good stead. Opener Taylor has been the Women’s ODI player of the year for the past two years, and West Indies’ success will depend a lot on the form of this talented young batswoman, who can mix both caution and aggression while compiling an innings. 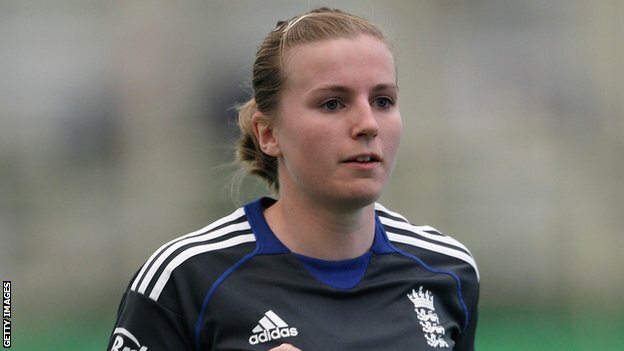 At just 23, the left arm spinner Holly Colvin is already experienced in ODI cricket, having played 59 times for England, in which she averages 22. This wicket-taking bowler will be expected to play a major role on the slow tracks on offer. Raj, who is India’s captain and most experienced player, is the world’s top-ranked batswoman in ODI’s. She averages an excellent 48.27 in 141 ODI’s so far, and this is her best chance to be part of a World Cup winning team, in front of her home crowd. India will expect her to lead from the front. However, the West Indies can just prove to be a party-pooper for either of the above mentioned potential top four teams. Further, I most likely expect either England or Australia to win the title.